Gladiabots is a robot combat strategy game developed by GFX47. 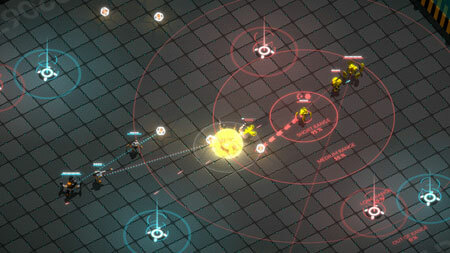 In the game, you carefully construct the AI of your robot squad and send them into the battle arena. Improve, refine and repeat until you outsmart all your opponents and friends online. The game features simple and powerful AI programming system with nearly 100 parameters resulting in millions of possible combinations. If you get stuck in the game, check out the video walkthrough and gameplay for the game. This entry was posted in PC Games, Walkthrough and tagged Gladiabots Cheats, Gladiabots Game, Gladiabots Gameplay, Gladiabots Guide, Gladiabots Hints, Gladiabots Review, Gladiabots Solutions, Gladiabots Strategy, Gladiabots Tips, Gladiabots Walkthrough by Marvin. Bookmark the permalink.